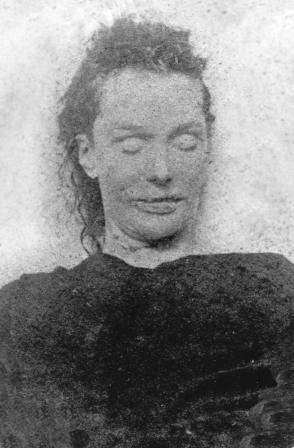 Elizabeth Stride was killed on the night of the "Double Event" that saw the murder of Catherine Eddowes less than an hour later. 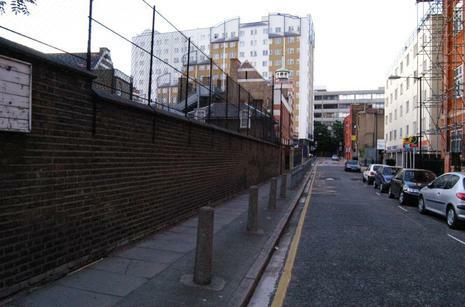 Stride's body was discovered close to 01:00 in the early morning of Sunday, 30 September 1888, lying on the ground in Dutfield's Yard, off Berner Street (since renamed Henriques Street) in Whitechapel. The yard was so dark that the steward of an adjoining club, who discovered her body on driving into the yard with a pony and cart, was hardly able to see it without lighting a match. With blood still gushing from her wound, it appeared that she was killed just moments before he arrived; the steward told officials that he believed that the killer was still in the yard. A few authors of Ripper theories believe that Stride was not a victim of the same killer. Some suggest that she was killed by her lover, Michael Kidney. Unlike the other victims, she had no mutilations beyond a cut throat, and some have expressed doubt about the way it was inflicted. Additionally, alleged witness Israel Schwartz reported seeing Stride being attacked by what could have been two men and thrown to the ground on the street outside Dutfield's Yard around 12:45 a.m. The murder of Stride shares some strong similarities to the pattern of Ripper killings, such as date, time, type of site, characteristics of the victim and the method of murder. Those who support her canonical status argue that no mutilations were inflicted on Stride because the killer was interrupted by the club steward's arrival and that the coincidence of Catherine Eddowes' murder within walking distance less than an hour later was the consummation of the earlier "unconsummated" Ripper killing of Stride. Ironically, it was the deaths of both Eddowes, and Stride, that sent the city of London into a panic, because it was the first time that the Ripper had struck twice in one night, earning the two murders the dubious nickname, "The Double Event."